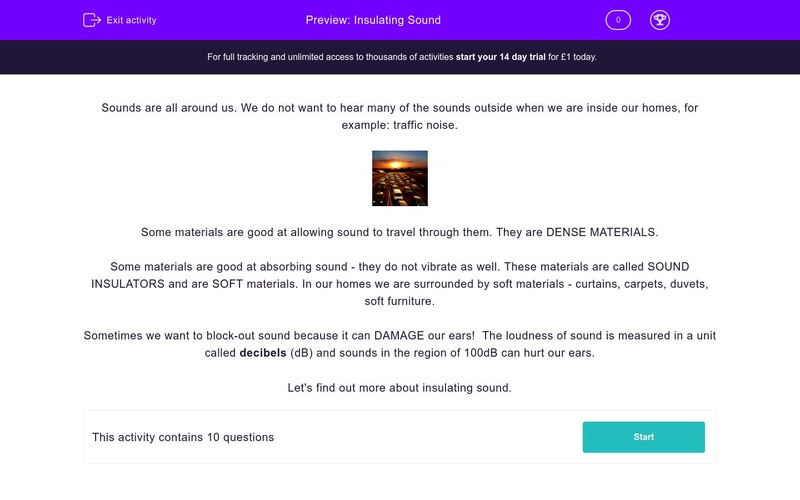 Students consider how sound is absorbed by materials and when and why we use sound insulation. Sounds are all around us. We do not want to hear many of the sounds outside when we are inside our homes, for example: traffic noise. Some materials are good at allowing sound to travel through them. They are DENSE MATERIALS. Some materials are good at absorbing sound - they do not vibrate as well. These materials are called SOUND INSULATORS and are SOFT materials. In our homes we are surrounded by soft materials - curtains, carpets, duvets, soft furniture. Sometimes we want to block-out sound because it can DAMAGE our ears! Which THREE of these objects in our homes ABSORB sound? Which THREE objects INSIDE a car ABSORB the engine noise? Aeroplane engines are very loud. INSIDE an aeroplane what helps to muffle the engine sound? Sound is measured in which units? The PARTICLES in dense materials are closely packed together. This allows the VIBRATIONS to travel through easily. SOFT materials ABSORB sound. Can you think of any more? Look around your room! Sudden loud noises and loud noises over a long time damages our ears. 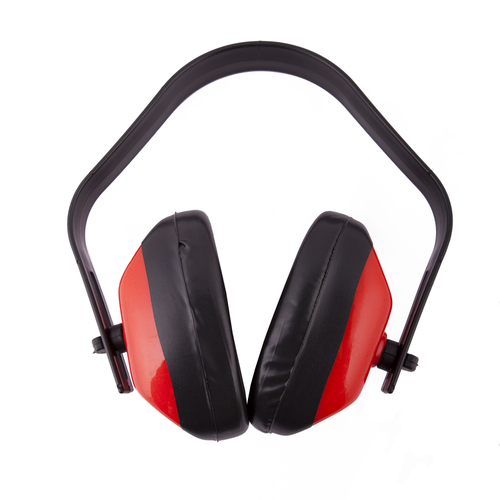 Ear defenders, or ear plugs STOP the sound waves entering our ears. SOFT materials ABSORB sound. 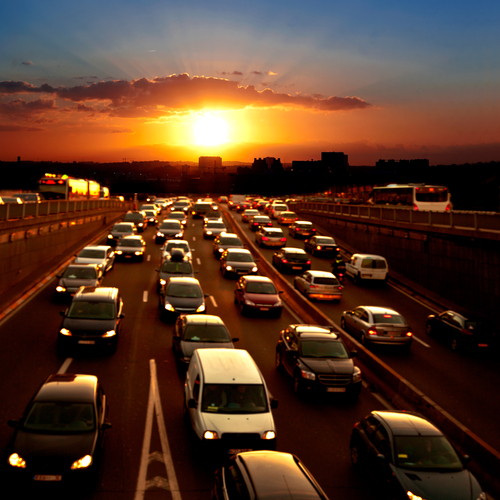 Car exhausts are also designed to absorb sound OUTSIDE the car. Carpets and seats are soft! SOFT = SOUND ABSORBING. Loud noises, above 85 decibels can damage our ears.